Our first foray was before we got engaged and being the modern couple that we are, we're each keeping our own name when we get married. So rather than including our Est. 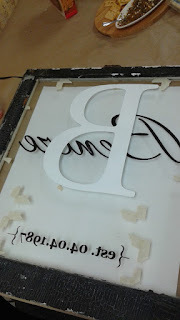 date on the signs, we just created matching name signs to hang in our house, but most people include their wedding date. After sanding, painting, more sanding, and antiquing our signs I think they turned out pretty good and they look really nice in our house. I was very happy with the finished product and over all it was a very fun night. During this first class only Don was teaching, it was a little hectic with so many people and only one teacher but he managed to keep things running smoothly and we finished the class around 10:00. 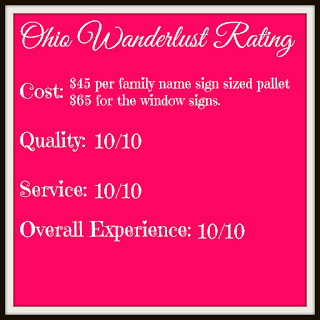 The window classes seem to be the most popular and during the month of May all of them were private parties only. 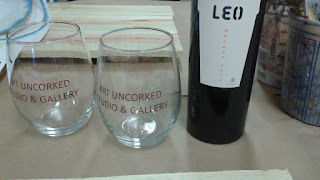 I emailed Art Uncorked and was able to get added to a private event that didn't quite fill up. 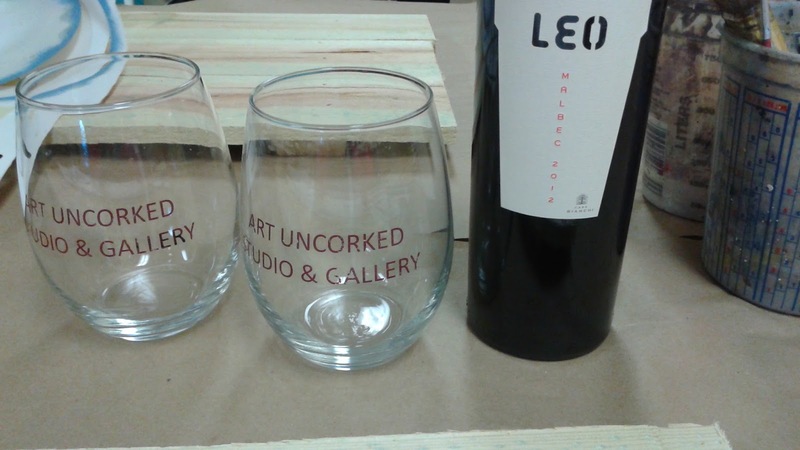 Like with the pallet signs, Art Uncorked will provide the window. 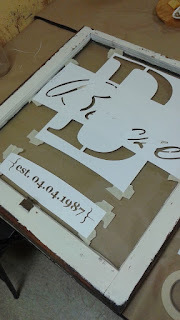 However, my mom wanted to get a particular style of window, so I was able to bring my own and tell Art Uncorked the dimensions so that my stencil was the correct size. Painting the window was more nerve wracking than the pallet, it's not that I was afraid of messing up, I just didn't want to press too hard and end up breaking the glass of my window. The window project took a little more care and finesse than the name sign just because you're being extra careful due to the fragility and mistakes seem to show up a little more easily on the glass. At this class Don's wife was there as well, having two people was helpful, it gave them more opportunity to circle the room and provide individualized assistance. 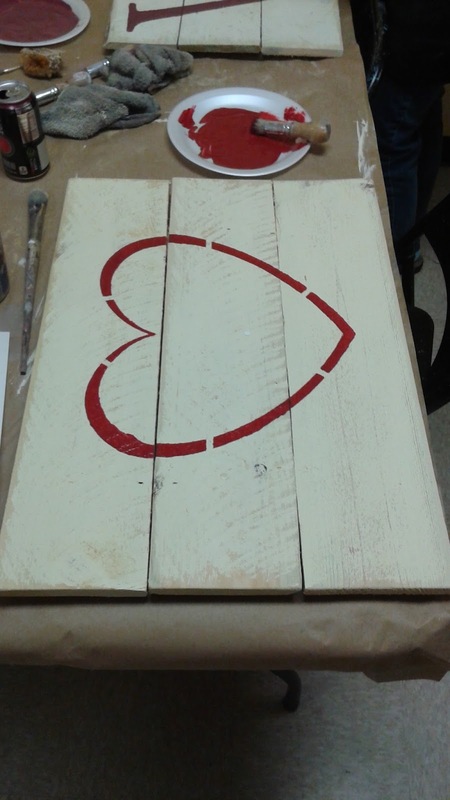 At our latest class Dave and I made a Welcome sign for our wedding, I had seen a similar project on the Art Uncorked Facebook page. I think this is a really great project to gift to someone at a wedding shower, a lot of people are living together before marriage and don't need household items. 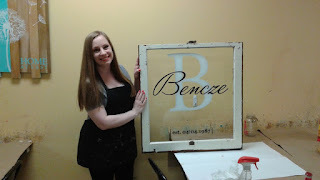 The sign is personalized and a really nice addition to a new home. Trying to dry all of that paint. Some photos of inside the studio, these are items made by Don and available for sale. 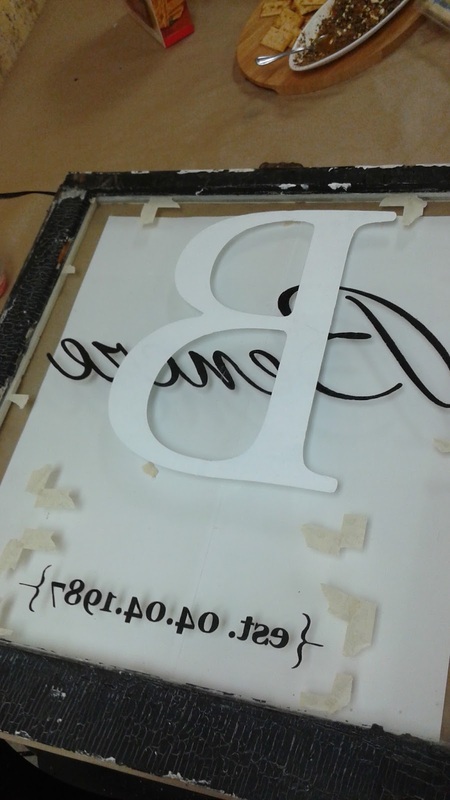 They can also provide a bit of project inspiration, that Christmas sign is totally going to be my next project. 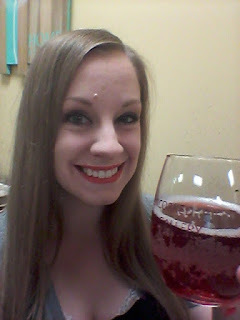 I'm already planning my next visit to Art Uncorked, and I love having this close enough for us to visit every few months. 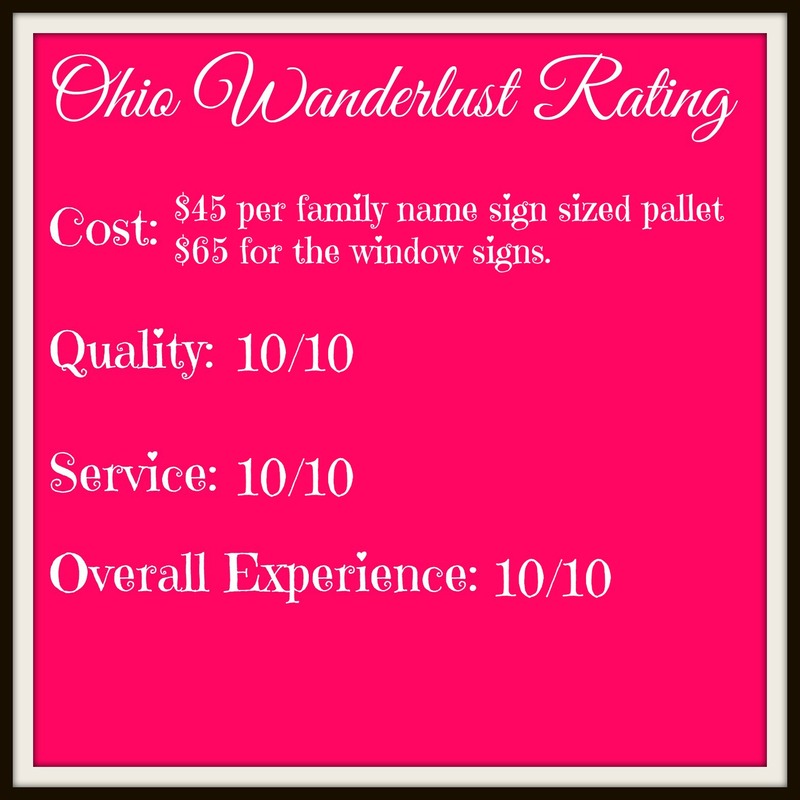 These signs are perfect for your home and for gifts. Don and Tracey do an excellent job conducting the classes and making sure that everyone leaves with an Instagram worthy piece of art.